REPORTING FROM WIMBLEDON, ENGLAND — Everyone deserves one last run, and this is Roger Federer’s. 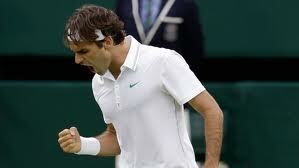 The gods and the weather and the schedule and even Wimbledon’s Centre Court roof have lined up for him. The opponents have all-but fallen down, and the guy he can’t beat, Rafael Nadal, cleared out early by losing to a nobody. It’s the right time and the right place, and now Federer is giving his career the right tribute. He beat No. 1 ranked Novak Djokovic 6-3, 3-6, 6-4, 6-3 Friday to advance to the Wimbledon final. Yes, both. Skill, luck. Magic, too. This is what happens sometimes when these superstars have another run. They wring out another moment. 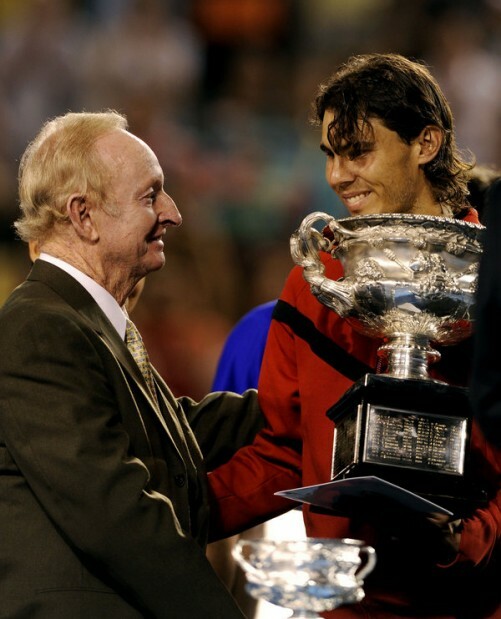 Rod Laver and Rafael Nadal. Who would have won? Tennis’ favorite argument, the GOAT debate, is now, officially, a mess. Who is the Greatest Of All Time? Tennis might not have a best player ever. At this point, for this second, and willing to change soon, I’m still going with Rafael Nadal as all-time best, though he’s not even the best now, having lost to Novak Djokovic Sunday in the Wimbledon final. He also hasn’t won nearly as many majors as Roger Federer. It’s not easy making an argument that sounds ridiculous to yourself when you’re making it. But I can’t take Federer, because he always loses to Nadal. And I can’t take Djokovic, because he has only been great for seven to 10 months. In retirement, Pete Sampras is working his way back into this argument. You can’t judge accurately through history. Would Rod Laver have beaten Bill Tilden? I think so, but how do I know for sure? So you can only go on how well someone did against his own generation, and then try to decide how good that generation was. Or maybe you just use the eye-test. The dream, in any sport really, is to see all-time greats actually playing against each other in their primes. Tiger Woods and Jack Nicklaus coming up 18 together at Augusta, tied, or maybe Muhammad Ali against Joe Louis. Then it could all be settled.